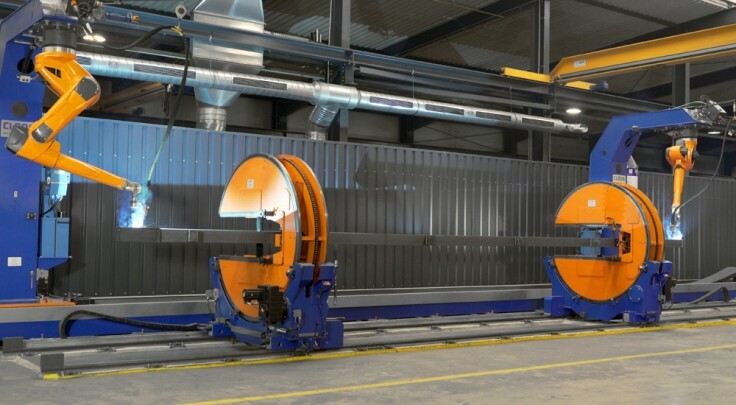 Staha Systemhallen GmbH as one of the biggest hall manufacturers of Nothern Germany relies on a modern production with a high degree of automation. 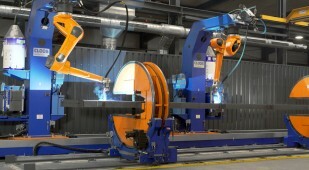 A CLOOS robot system is used for automated welding of the complex steel components. The heart of the system are two QIROX QRC-410 welding robots. The robots are mounted overhead to a C-frame and can be moved on the floor-mounted linear track with a travelling length of 18 m from one side to the other. 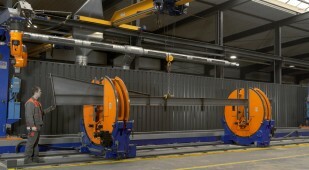 The system can be flexibly used for steel beams of different lengths and sizes. 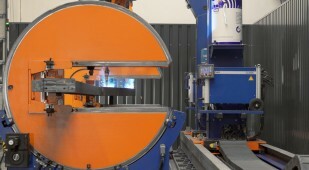 The robot system is programmed offline with the RoboPlan software by CLOOS. Thus STAHA increases the efficiency and the quality of the hall production many times over.